For use with misting fountains, oil warmers and more. This high quality lavender fragrance oil is the perfect way to add scent to any room. The aroma is strong enough to fill the room with a pleasant scent, but not too powerful or off putting. A little bit will still go a long way, so always start with a small amount, and add more if necessary. For use in a misting fountain, you will only need a few drops. Add the oil straight to the water and the mister will diffuse the fragrance all over the room. It works very efficiently, so you only need a small amount of oil for each bowl of clean water. Be careful not to add too much, because overuse will cause residues to build over time, and that will reduce the life of your mister. Lavender is said to have relaxing qualities. Add some lavender scent to the air to reduce stress, increase calm, and relax your troubles away. It can help with sleeping problems and also alleviate feelings of anxiety. If you already have a misting fountain, then adding some oil to the water will offer a whole new experience. This product is also good for any type of oil warmer or fragrance diffuser, and it can be used right on clothing, skin or other surfaces, but is not meant to be ingested. Add a pleasing scent to the air in your home without the use of aerosol sprays or harsh chemicals. This lavender fragrance oil will help you deodorize your home with a safer, more natural method. Order Yours Today. Uses NOT FOR INTERNAL USE. Great for misting fountains, oil warmers and other fragrance diffusers. Add aroma to your home the safe and natural way. Use this quality fragrance oil to add a pleasing scent to the air in your home. Order Yours Today! Lavender is my favorite of all the essential oils so I was very pleased with the scent. Just a couple of drops in your diffuser and it gives off a beautiful fragrance. Very soothing and relaxing. Very pure with no added fragrances. 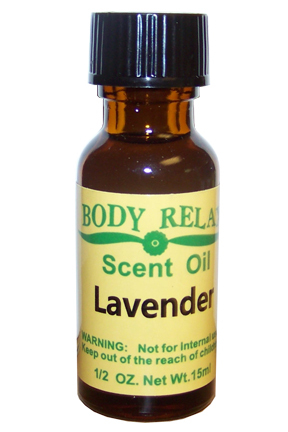 The lavender fragrance oil smells great, lasts a long time and is a great price. I got two bottles of this essential oil at a great price and earned free shipping on my toy purchases, so it was a double bargain! The oil is good quality, and everything shipped fast and arrived in perfect condition and in time for me to make the holiday delivery! I didn't get this from this site but from a friend and it smells delightful, I put it in a wax melter and it makes the whole floor smell great and relaxing when doing college work. I feel this really nice fragrance could have been a bit stronger to have been able to fill the room with one drop. Excellent price, excellent product. I use it at night on my wrists and pillows. Seems to expedite a peaceful sleep. Lovely scent, very clean, not cloying. Highly recommend. Kinda skeptical in ordering this, not knowing the smell. I added only a couple of drops & started up my fountain machine..and wow ! This Lavender fragrance really makes my home smell wonderful...even after hours of turning off my fountain machine. I recommend this fragrance to anyone. 100% Pure. Use in aroma diffusers, homemade perfumes and soaps, or when making candles and other natural deodorizers. 100% Pure. An immune boosting, fresh, medicinal scent. Use to deodorize a room, or to kill bacteria and viruses on skin and other surfaces.